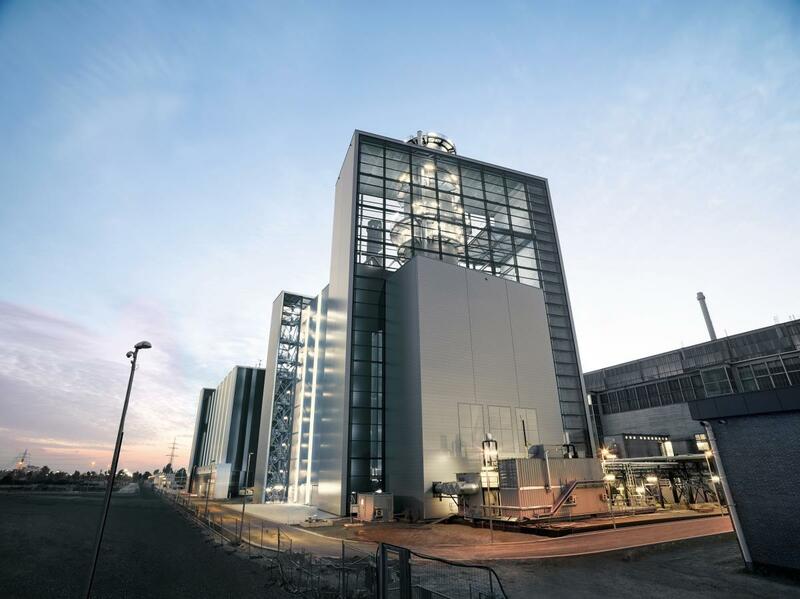 Siemens handed over the combined cycle power plant equipped with a Siemens H-class gas turbine at the Lausward location in the Düsseldorf (Germany) harbor area to the customer and operator, the utility company Stadtwerke Düsseldorf AG. The turnkey plant sets three new records in world-wide comparison. During the test run before acceptance, unit "Fortuna" achieved a maximum electrical net output of 603.8 megawatts (MW), which is a new record for a combined cycle plant of this type in a single-shaft configuration. The high efficiency level makes the power plant especially environmentally friendly. In addition, unit "Fortuna" can also deliver up to around 300 MW for the district heating system of Düsseldorf – a further international peak value for a power plant equipped with only one gas and steam turbine. This boosts the plant's fuel utilization up to 85 percent, while reducing CO2 emissions to a mere 230 gram per kilowatt-hour. Unit "Fortuna" was handed over to the customer 19 days ahead of the date set in the contract. The project on the bank of the Rhine was additionally a huge success with regard to occupational safety for everyone involved. More than two million hours of work in total were performed without a single accident. In terms of the average emissions of power generation for all coal-fired power plants throughout the European Union, a natural-gas-fired combined cycle power plant such as this one, with an electrical efficiency of 61.5 percent, theoretically saves approximately 2.5 million tons of carbon dioxide (CO2) annually. This corresponds to the amount of CO2 emitted by 1.25 million passenger cars, each driving 15,000 kilometers a year.